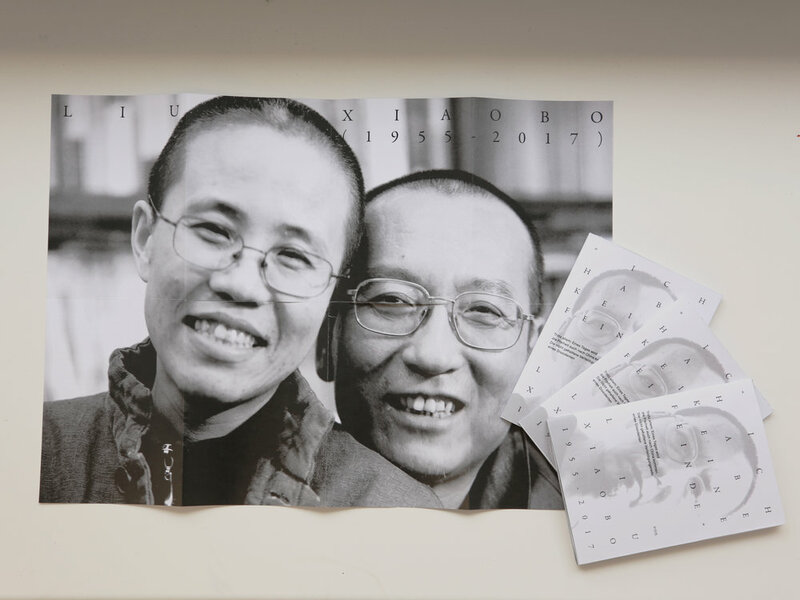 This year 13.07 will be the first anniversary of death of Liu Xiaobo, the famed Chinese dissident who was awarded the 2010 Nobel Prize for Peace while imprisoned and whose wife Liu Xia, is still being home arrested in China simply because she's the wife of Mr. Liu Xiaobo. To raise the world's awareness of Liu's incidents of human right in China, we are having a pop-up exhibition from now on, presenting paintings and video by the German-based Chinese artist Meng Huang (孟煌) : "Empty chair" and the "Naked protest in Stockholm" until the middle of July. In March 2011, the German-based Chinese artist Meng Huang (孟煌) shipped a chair via DHL to Liu Xiaobo, recipient of 2010 Nobel Peace Prize serving an 11-year term in Jinzhou Prison in China. According to online tracking, the chair disappeared after it had entered China. Meng believes the Chinese authorities impounded it. In 2012 Chinese writer Mo Yan won the Nobel Prize for Literature. In October when the prize was announced, Mo Yan told the world press that he hoped Liu Xiaobo would be free soon. That gave Meng Huang another idea: He will ask Mo Yan for help. On December 5, Meng Huang sent another chair, this time to the Swedish Academy of Letters, asking the Academy to pass the chair on to Mo Yan, ask him to take it back to China, and give it to fellow Nobelist Liu Xiaobo. 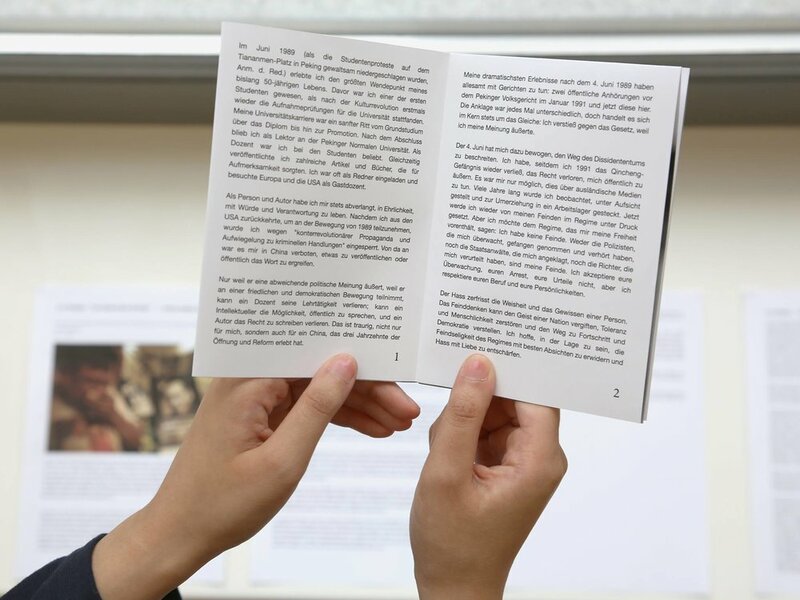 During the exhibition, there are limited booklets printed with Mr. Liu Xiaobo : My Last Statement : I have no enemy. that we specially designed for this event and it's totally free for visitors to take it home. Text are in German.